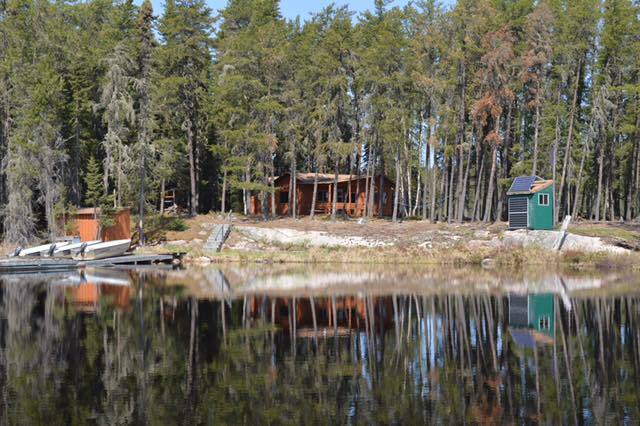 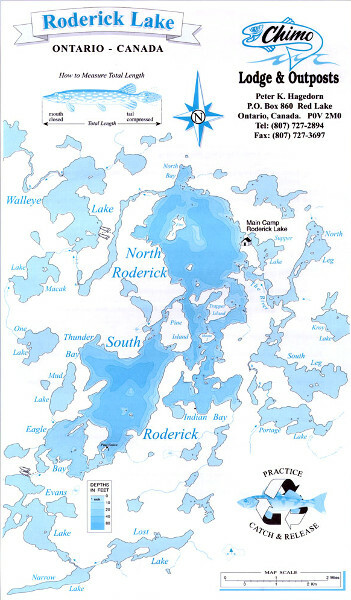 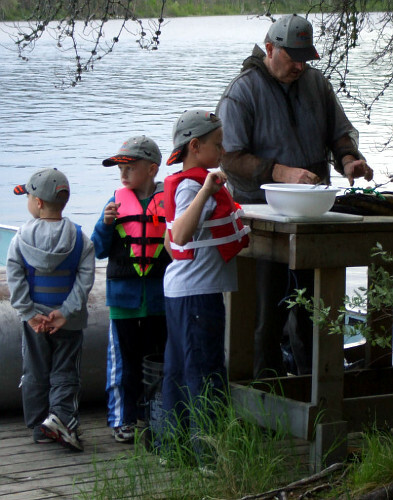 Our outpost on Roderick Lake is situated on an island 7 miles south of the main camp. 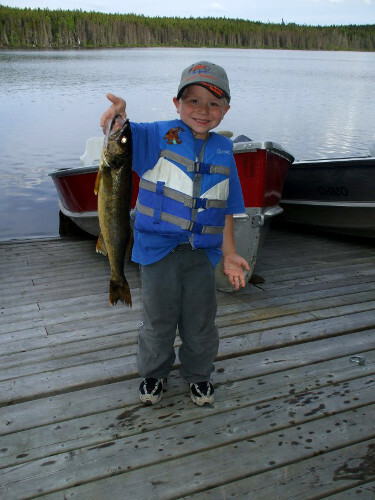 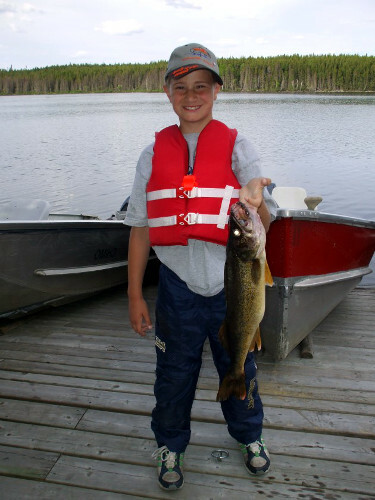 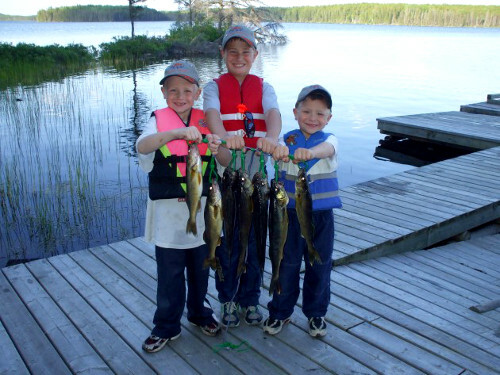 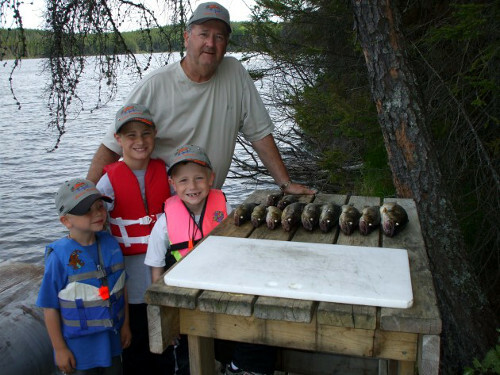 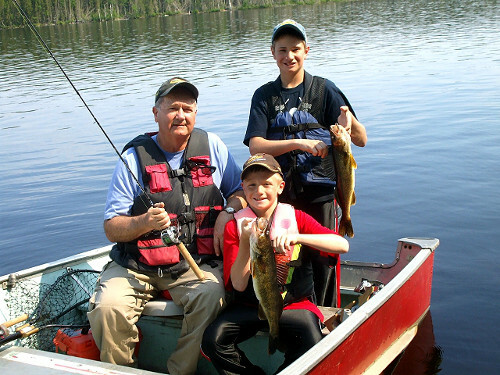 Roderick Lake has pristine bays and outlets, which are ideal for prime fishing. 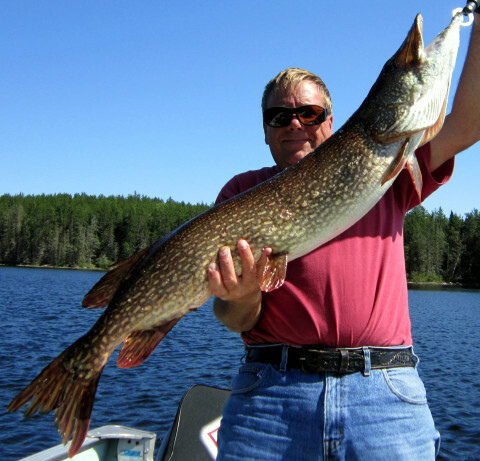 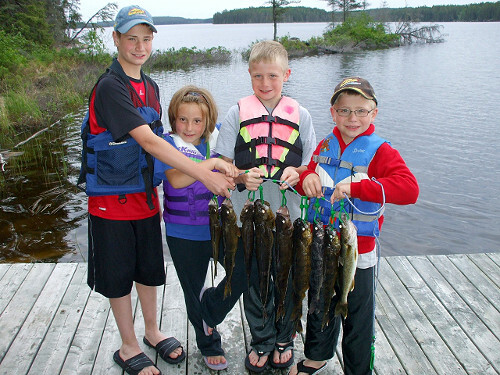 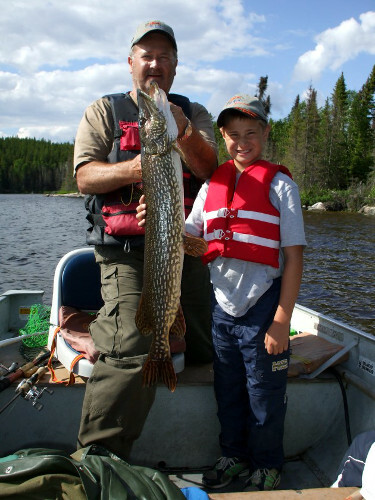 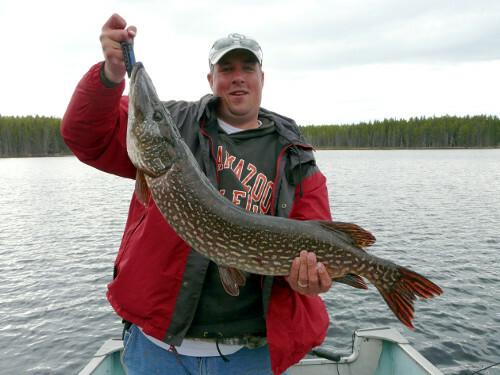 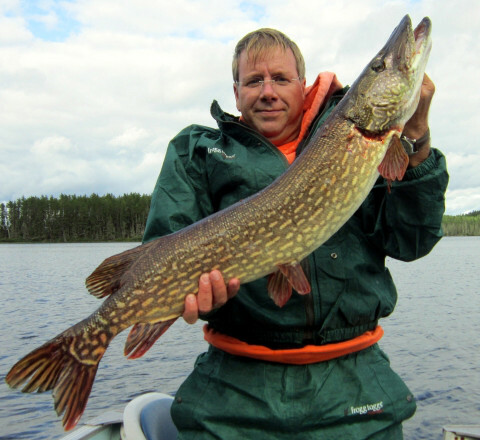 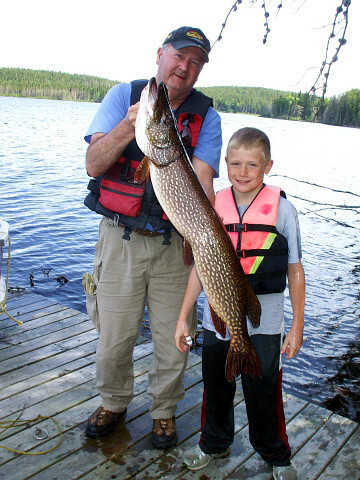 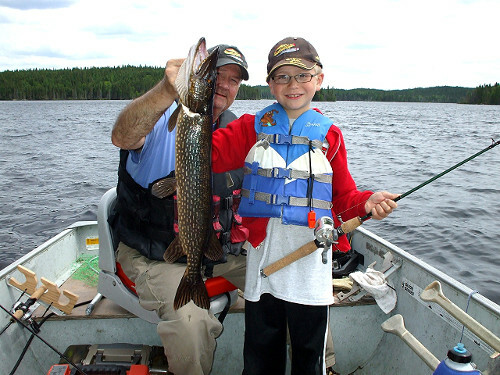 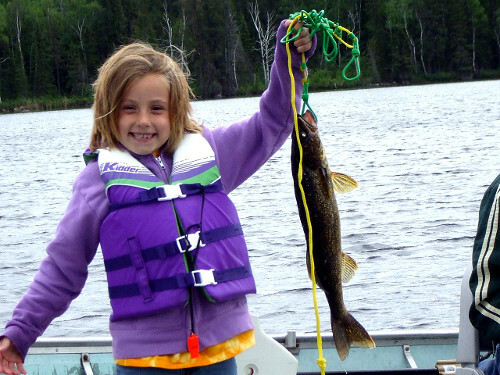 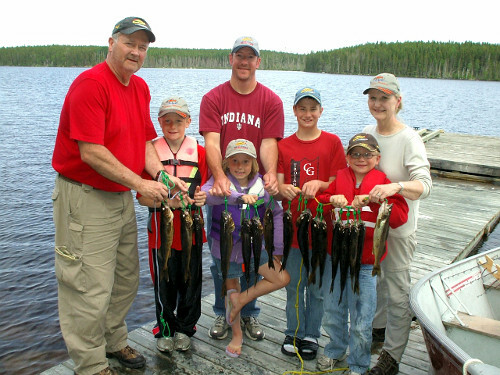 The lake boasts of having a large number of fish including Northern Pike, Walleye and Lake Trout. 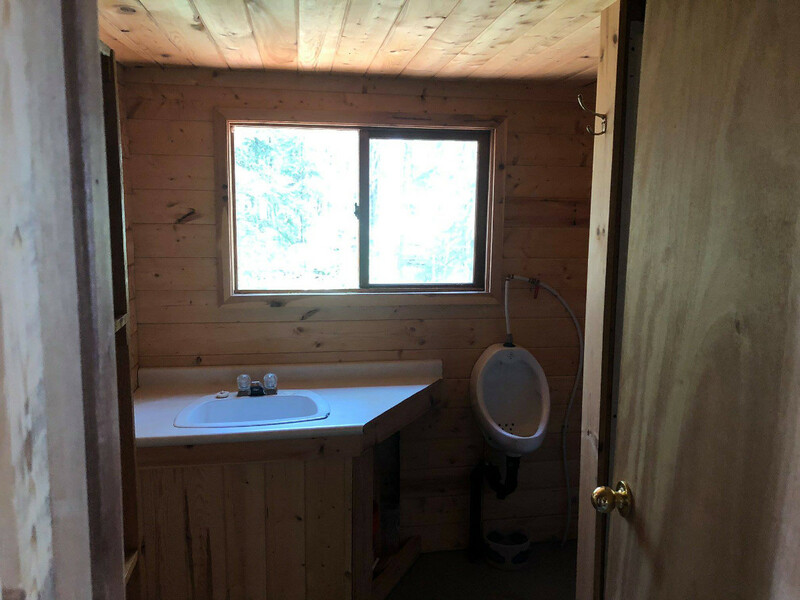 The cabin was constructed on site from local pine logs. 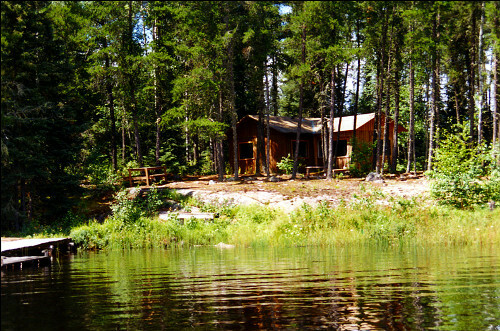 The cabin consists of three bedrooms and can accommodate up to 6 guests. 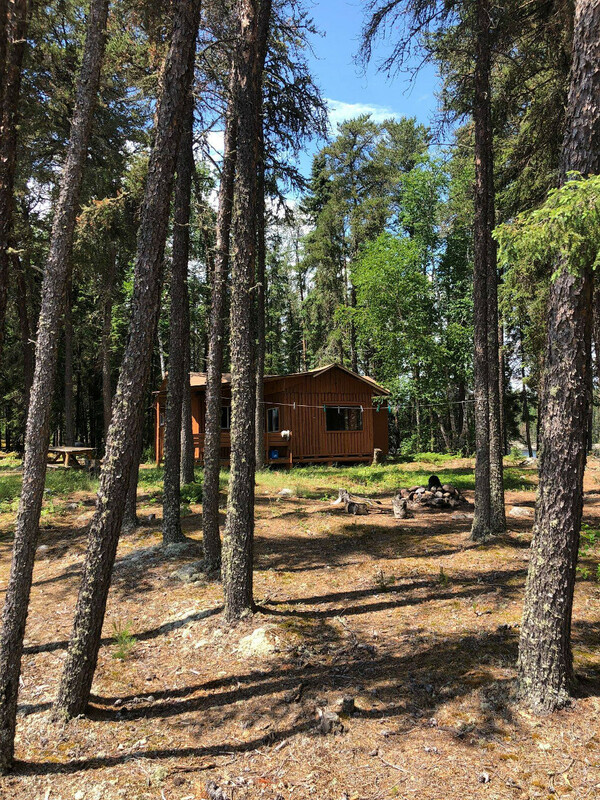 The camp has solar power, 120V lights and 110V electricity. 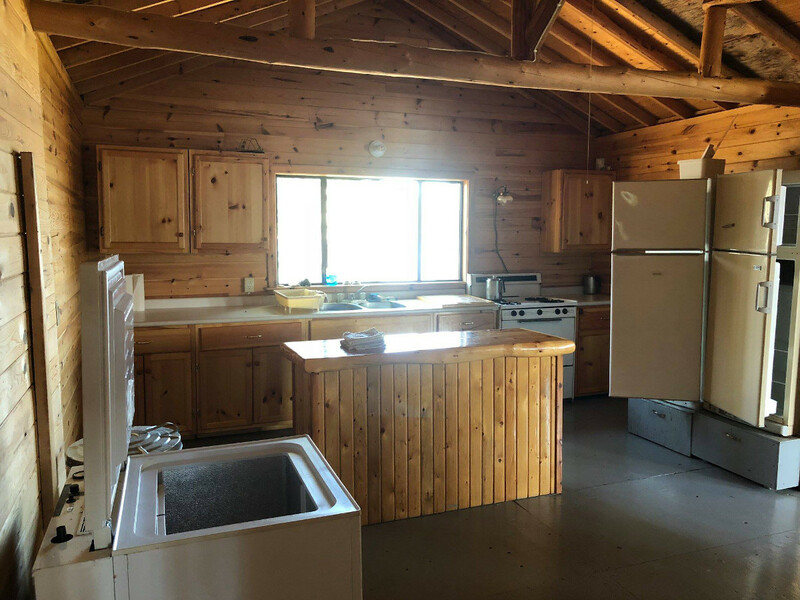 It is well equipped with propane range, fridge, freezer, mattresses and 3 piece bathrooms (urinal, sink, shower) all complete with hot & cold running water. 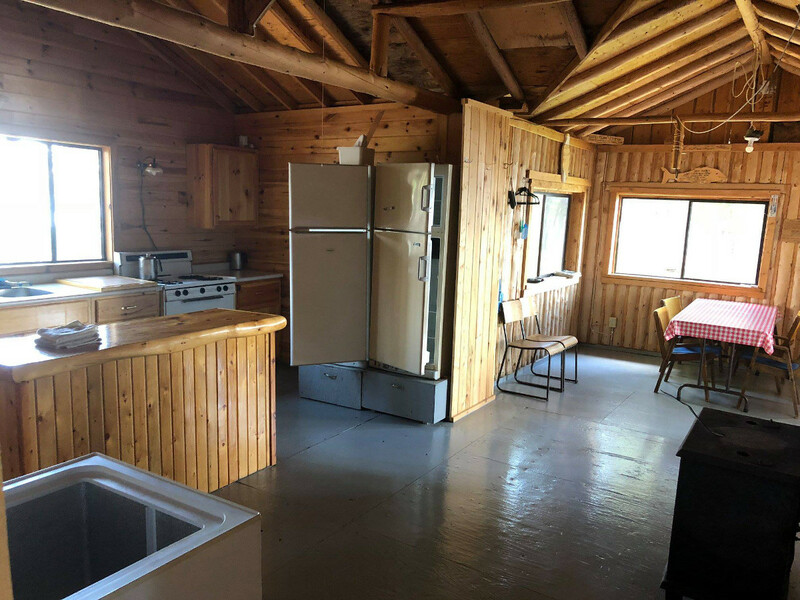 There is also a BBQ on the deck. 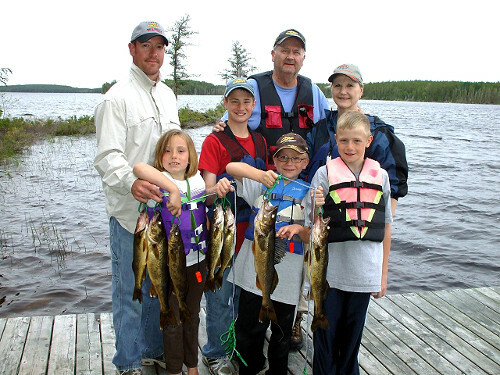 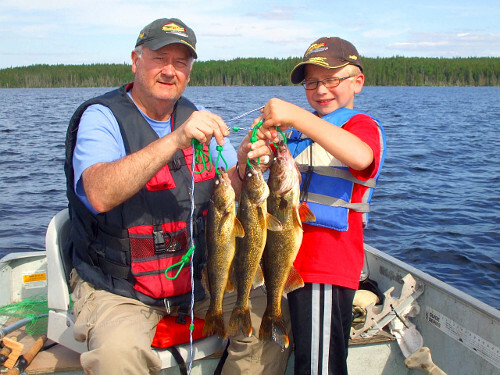 Roderick Lake has two portages lakes, Walleye lake and Evans Lake. 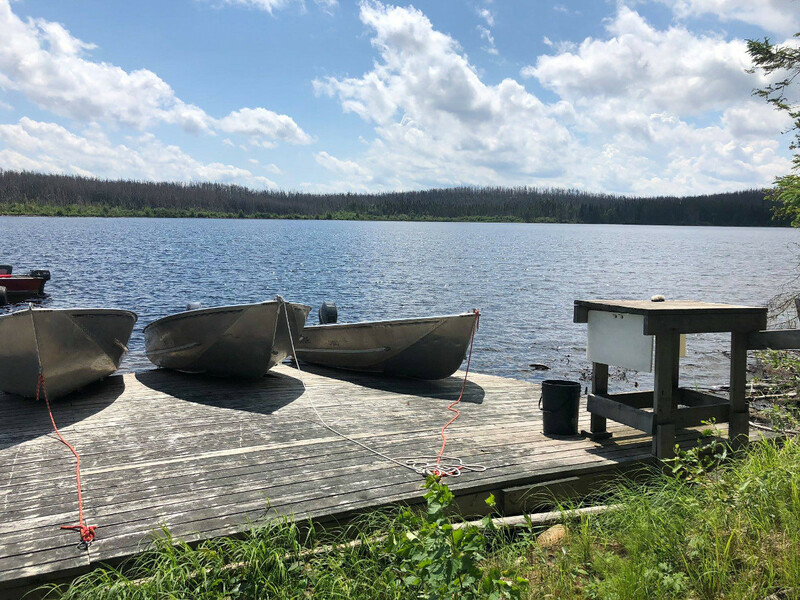 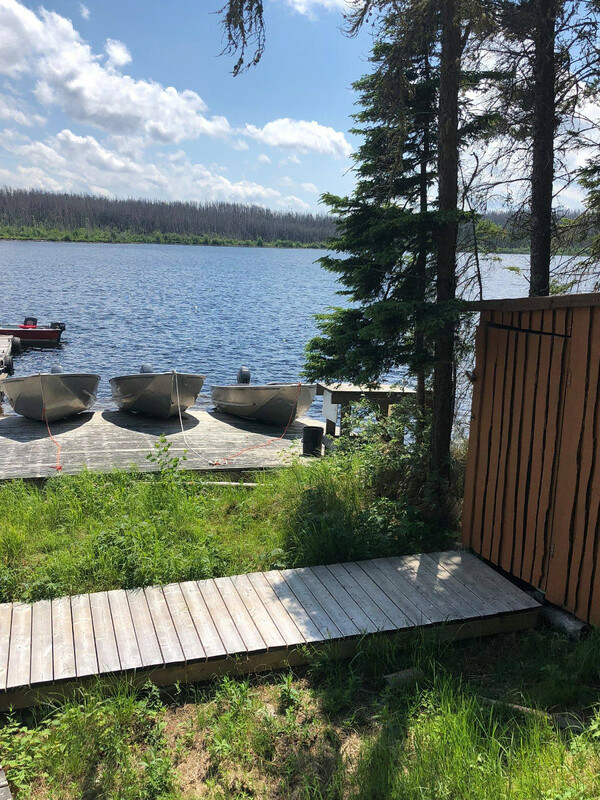 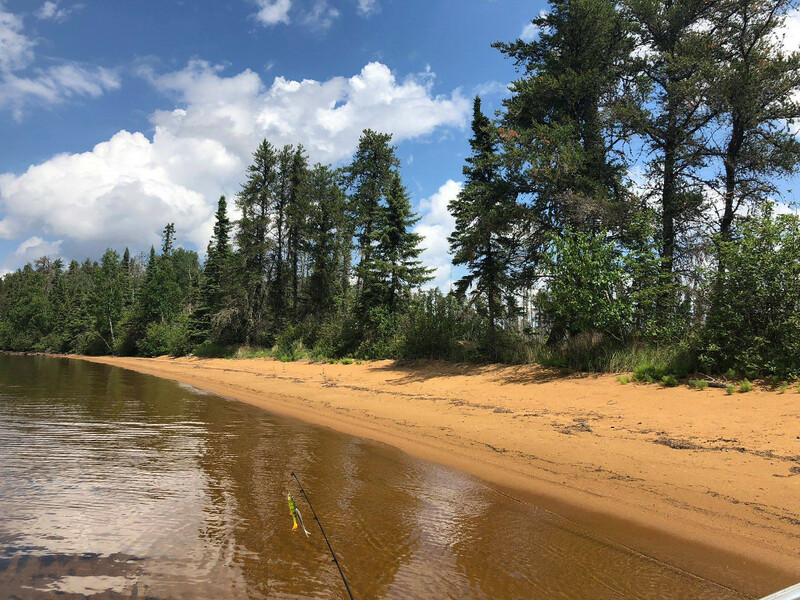 Because these portage lakes are also available to the people staying at the Main Camp, please make arrangements with the Camp Manger ahead of time.